Dr. Sosis and Dr. Komissarova welcome patients of all ages to achieve their best standards of dental health with modern services in general, family, and cosmetic dentistry. 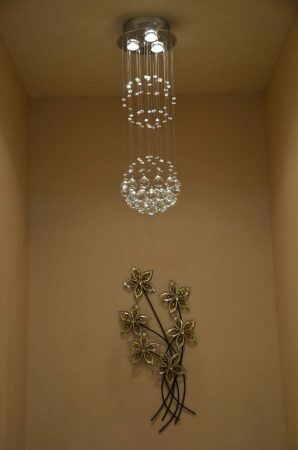 "Not sure if I can love a visit to the dentist but my experience at Golden Gate is always unexpectedly pleasant. I don't cringe before going to the dentist anymore. They are really good folks, know what they are doing and care. I will never go anywhere else for dental care. Period." "Dr. Sosis is amazing! She is a wonderful person and excellent doctor! Thanks to her, I have my life today! She was able to pick up abnormal findings during a regular exam which many others would overlook. Highly recommend!" 3) My teeth never felt so good"
"Dr. Sosis is an excellent dentist. I have trusted her with my teeth for going on 16 years and have recommended her to friends who were always pleased. She does superb work and is very friendly and caring. Her new office is fabulous also!!" "I had an appointment with Dr. Sosis for a tooth extraction. 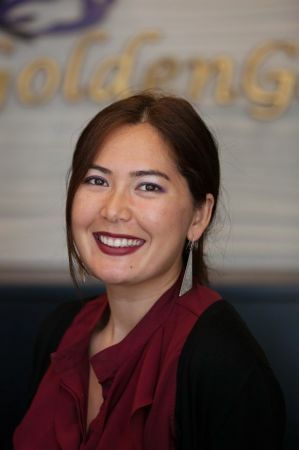 My wait time at the reception was no longer than 5 minutes, and once I was in the chair, Dr. Sosis showed extreme knowledge, excellent manners, and was extremely helpful to resolve all financial issues related to the service. Highly recommend Dr. Sosis." 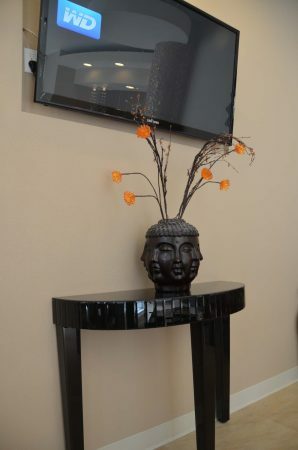 "Golden Gate Dental is a dental office of a completely different caliber! From the very first moment as I entered the office to the last words after a painless treatment by Dr. Sosis, my experience was immaculate. I am strongly recommending the Golden Gate Dental for an amazing service and Dr. Sosis for an amazing treatment and care." "Dr. Sosis is excellent! She has been our family dentist for over 10 years and we can't even imagine going to any other dentist." "Natalya Komissarova is the best dentist I've ever had. I've visited her 5 times in the last year. She is a really professional doctor and an extremely nice person. Highly recommended!" "Great dentist! Very light touch, does all my work for the last fifteen years!" "Dr. Sosis is an awesome Doctor. Always careful and tidies with her work. 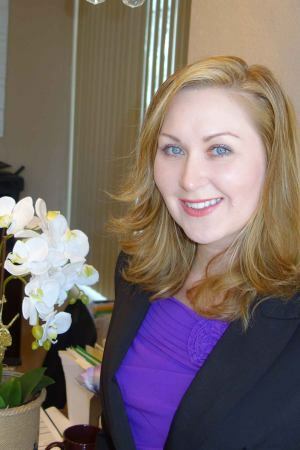 She always makes sure that Customer is happy, and she goes above and beyond to with her dental work." "What a gem! 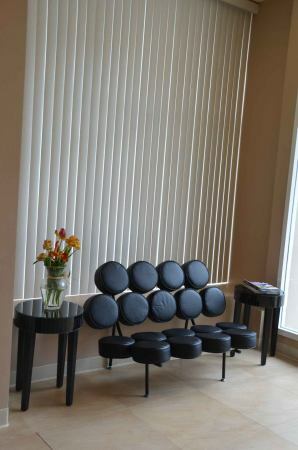 The dental office is very inviting, chic and warm. The staff are lovely and attentive. Dr. Koumissarova is a very gentle dentist. She gave a warm feeling, she pays a very good attention and cleaned my teeth herself!! I love her!!" "Dr. Sosis is very nice person and great dentist ever!!!" 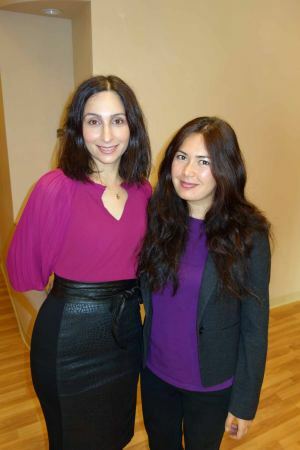 "Dr. Sosis and Dr. Komissarova are incredible. Great customer service and always remind about 6 months check up and cleaning. I am definitely coming back and looking forward to see both doctors soon. Thank you for your great job!" "I have always hated going to the dentist... until I went into Golden Gate Dental. I needed some emergency work done, and they squeezed me in on the same day. I got to watch "Anchorman 2: The Legend Continues," while sitting in the dental chair. Seriously, this is your new dentist. You're welcome." "Everyone is so friendly at GG dental. The office is modern and inviting. Dr. Sosis is wonderful! Left there feeling confident that she can handle all my dental needs." "I love Dr. Sosis. She has a great demeanor with her patients ( very important) and She is very skilled at what she does, and makes sure the work is perfect every time. Her staff has always been extremely friendly and worked with my scheduling issues. Highly recommend!" 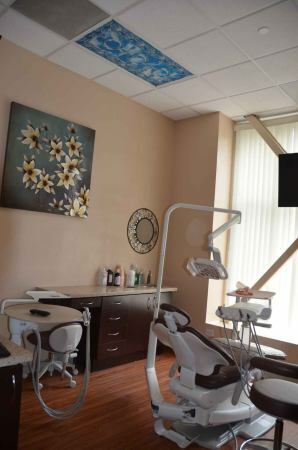 Our high-tech, modern dental office offers only the finest in upscale dental care, so your entire family can feel cared for, all under one roof. We’re committed to personalized service to deliver beautiful smiles, every time. We look forward to getting you back to a healthy and confident smile. We’ve enjoyed caring for local families in San Francisco for over 20 years! Come in today to see how our practice pairs advanced dentistry with personal touch. Time doesn’t stop for busy moms or emergency visits! We make every effort to see our patients when it is most convenient for them. Can you learn to love going to the dentist? We think so. 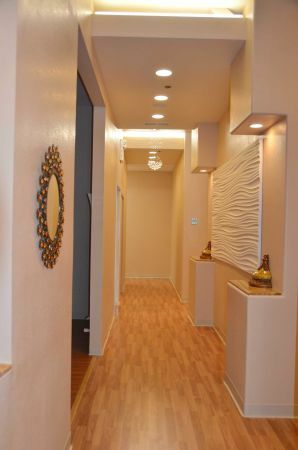 See the difference for yourself when you visit our modern dental office in Golden Gate. Can you learn to love your dental visit? We think so. Let us change the way you feel–it’s so nice to feel cared about! Our team is strives to provide our patients with the education and options to ultimately choose the treatment plan that meets their individual needs and desires. San Francisco has been our home long enough to build relationships with some patients for over 15 years, who continue to choose us for gentle dental care. The integration of advanced dentistry into our practice enables us to provide a higher standard of care for our patients through comprehensive treatment. Using modern technologies such as digital x-rays and dental imaging, we’re able to track changes in dental health early on to solve small dental issues in their most treatable and preventable stages. 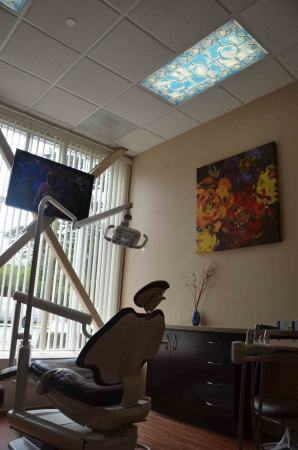 We’re passionate about your smile. It’s why we are known around San Francisco for having the gentlest touch. 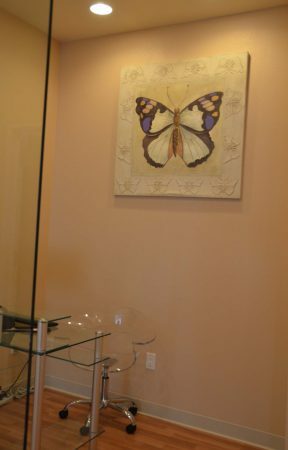 At your appointment we provide one-on-one dental care with a holistic approach, to support a naturally healthier smile. We’re available to you 7 days a week with the unique technology and experience to serve a large variety of your dental needs. From caring for baby teeth, to Invisalign, and all the way to dentures and implants, our goal is to keep your family health and smiling for generations. When the unexpected happens, we’re here for you. Look and feel like new again with custom restorative care, including crowns, implants and dentures. You’re not “you” without your smile. Ask us about our personalized teeth whitening, veneers and therapeutic Botox to give your smile a youthful radiance. See yourself achieve a healthy, pain-free smile again when you visit your emergency dentist in San Francisco. We’re open every day, to see you quickly. 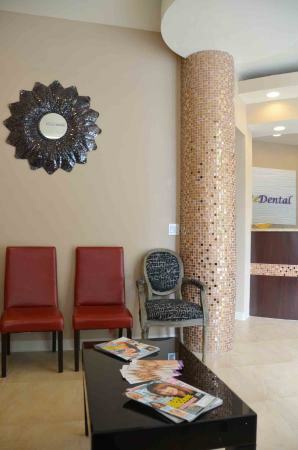 At Golden Gate Dental we’ve redesigned our entire Inner Richmond dental office with you in mind. Warm up with a coffee from our refreshments bar, or recline and unwind with your favorite show on TV. A caring touch can go a long way to inspire relaxation and comfort at your next stay. Get in touch with our team today at 415-367-3444 to schedule an appointment for yourself or your family.